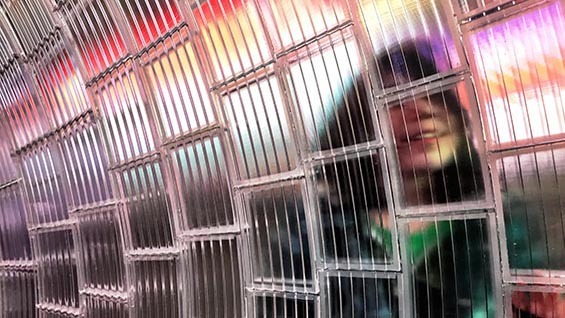 Professor Benjamin Aranda’s firm, Aranda/Lasch has designed a new architectural installation in the heart of Times Square. 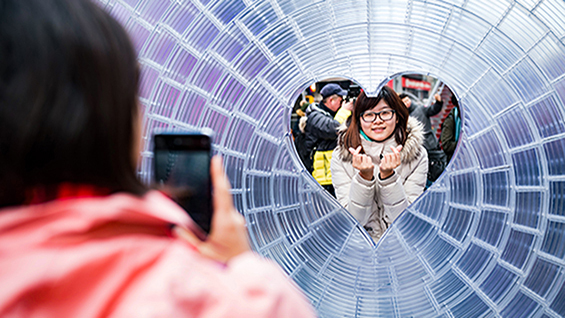 Built in collaboration with Marcelo Coelho and sponsored by the Design Trust for Public Space and Times Square Arts, the project, titled “Window to the Heart” is on view from February 1st, 2018 – February 28th, 2018. 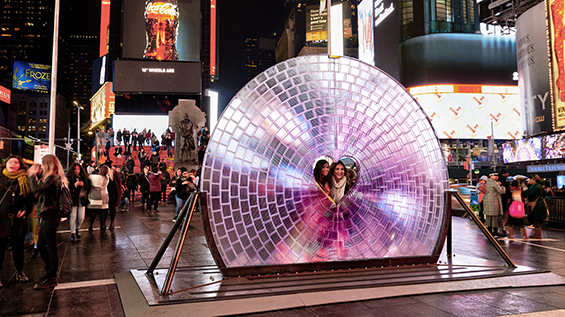 Located at Father Duffy Square, between 46th and 47th streets, the installation consists of a 12-foot diameter Fresnel lens with a heart-shaped window in its center. 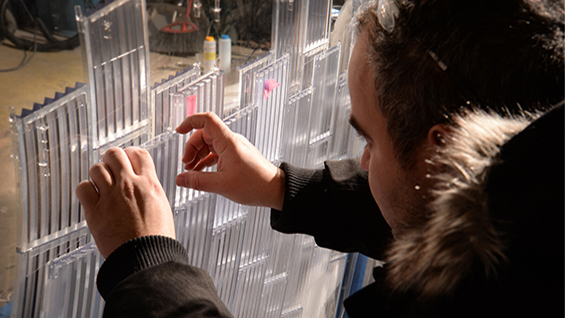 Rather than using the traditional lens-making methods of casting, cutting, and repeatedly polishing glass, Window to the Heart will leverage the latest advances in design, materials, and fabrication to craft something that was previously unattainable. Each of the almost 1,000 lens segments is 3D-printed at a high resolution by Formlabs using clear resin, a material capable of the unique surface quality and clarity required by optical elements. With the lens made entirely from a 3D-printed material instead of glass, Window to the Heart upends the centuries-old methods of lens-making to invite individuals to reimagine how they see and photograph the world.